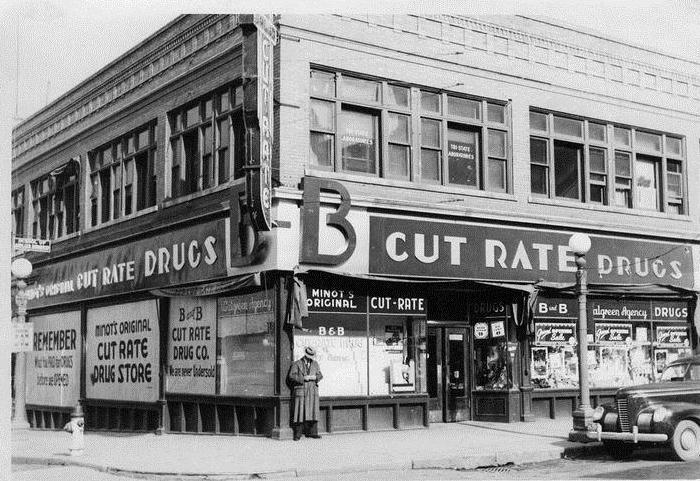 B&B Drug began its existence in1933 on the corner of 1st Street and 1st Avenue SW. B&B was the first discount drug store in North Dakota. 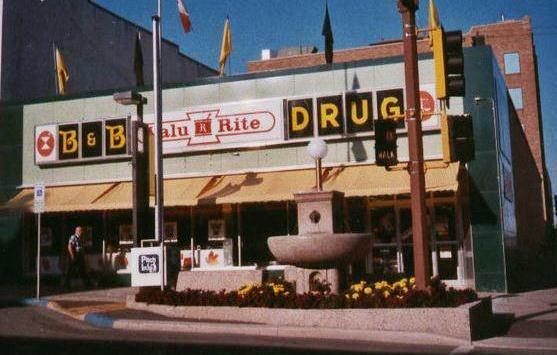 The original owners of B & B Drug were Henry Burges and John Bonenko, neither one was a pharmacist and they hired Reinhold J Berg, known as Mike Berg, to go to work for them in 1939. Reinhold J Berg, never liked his name and got the nick name of Mike in school. (Reinhold's son, Mike always said that he was the real Mike and his dad was the fake one.) Reinhold, (Mike #1), was working in Carrington and was given a salary of 50 dollars a week. There were three B & B Drugs at the time. One in Minot, Stanley and Williston. When Mike #1 went to work for the B & B Drug they were on COD’s from their supplies. He organized the pharmacy and got thing going in the right direction. Mike bought one of the partners out in 1942. The original name was the B & B Cut Rate Drug, because they sold below the recommended manufacturer price put on their products. Mike #2, Reinhold's son, went to work for my B&B right out of college in 1965, We were the only store to have 3 locations in Downtown Minot and move twice. 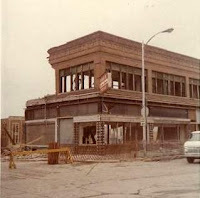 The first location was on the northeast corner of 1st Avenue and 1st Street Southwest, now a parking lot. They moved to the in 1971 at 108 South Main, just south of Jay’s Men’s Store. This location was a larger store so they added more cosmetics, toys and expanded other departments. 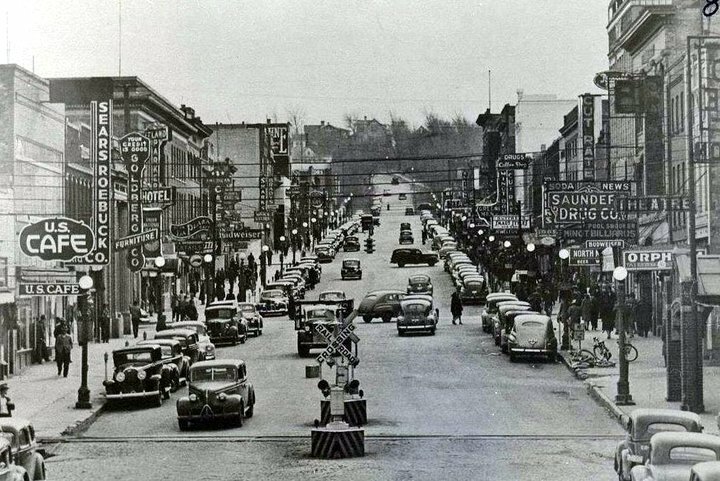 The third and final location was on the south west corner of Main Street and 1st Avenue, at 100 South Main. According to my Grandmother that water fountain in the last picture was at one time used to water horses in the 1920s. She did tell where that original location.....but I don't remember it!